NATO-backed forces will overstep their mandate amid Kosovo border tension, and the UN will ignore this. That's according to top Russian diplomats furious that the US and EU paralysed a UNSC meeting on Kosovo. After debating for hours behind closed doors, the Council came out with only a rather timid call for “restraint” by all parties. Russia’s representative at the United Nations, Vitaly Churkin, told journalists after the meeting that Russia proposed a brief, to-the-point statement that basically called on “Belgrade, Pristina and all other sides involved to resolve all outstanding problems through dialogue.” To Churkin’s surprise, Security Council members could not even agree on that. In the end, both Serbia and Kosovo were “urged to exercise restraint” – a weak statement, especially in light of the escalating tensions in northern Kosovo, where violence has already broken out over the border issue. 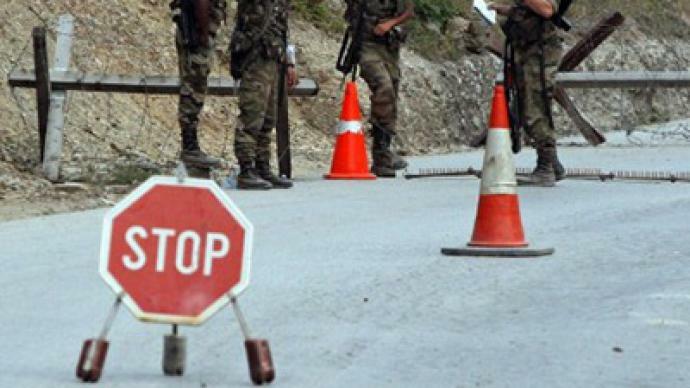 In July 2011, Kosovar officials attempted to send police to border posts in the north to enforce a ban on imports from Serbia. This led to clashes with local residents in which one post was burned down, a Kosovo policeman was killed and several others wounded. NATO peacekeepers were deployed to prevent further violence. 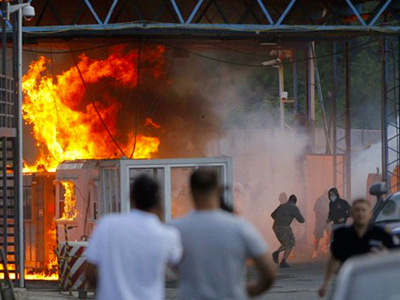 Despite the incident, officials in Pristina took the decision to take over two border crossing points on September 16. The Assistant Secretary-General for Peacekeeping Operations urged both sides to use dialogue instead of force – and most importantly, to stay away from unilateral action. "We are very concerned that the implementation of the announced plans could lead to a hardening of positions on the ground, threaten stability and lead to another outbreak of violence," said Edmond Mullet. The Alliance’s Secretary General, Anders Fogh Rasmussen, called the situation “a big setback,” and urged all sides involved to stay within the framework of dialogue. "Let me be very clear: there can be no turning back," Rasmussen added. "NATO has spent 12 years ensuring stability and security. We will not allow that achievement to be put at risk." But it may already be endangered, according to Russia’s representative in the United Nations, Vitaly Churkin. He told RT that Russia is concerned with the fact that international peacekeeping forces in the region appear to be siding with the Albanian authorities. "We have serious concerns about where all this is going," said Churkin. "[Serbia's Minister of Foreign Affairs Vuk] Jeremic made it very clear that the entire proposition of the EU playing this mediating role in the dialogue between Pristina and Belgrade may be put in question. So this sudden departure from the path of dialogue at the moment when it was beginning to show some promise, in our view, is completely unjustified, unwarranted and very dangerous." ­Serbs in the North of Kosovo are acutely aware that they are in a life or death situation, stresses Boris Malagurski, a Serbian film maker who has made several documentaries on Kosovo. “The authorities of the self-proclaimed Republic of Kosovo have been trying to push Serbs out of the republic ever since they proclaimed independence,” the film-maker explains, arguing that international forces in the region are simply pushing their own polices under the banner of promoting peace and stability. But today, Northern Kosovo is in turn breaking away from Albanian-run Kosovo due to the fact that “they have parallel institutions and they will not accept any independent Kosovo institutions. “De-facto it is already breaking away and this is what bothers the international community which wants Kosovo sovereignty on all of its territory,” Boris Malagurski says. 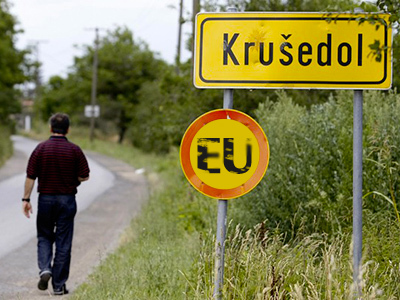 ­Kosovo broke away from Serbia in 2008 with the support of the US and some EU countries. But Serbia and northern parts of Kosovo, as well as Russia, China and some other states, do not recognize its mandate.